Greece Benaki Museum (Kerameikos Building Complex), 22 Ag. Asomaton & 12 Dipilou St., Athens. 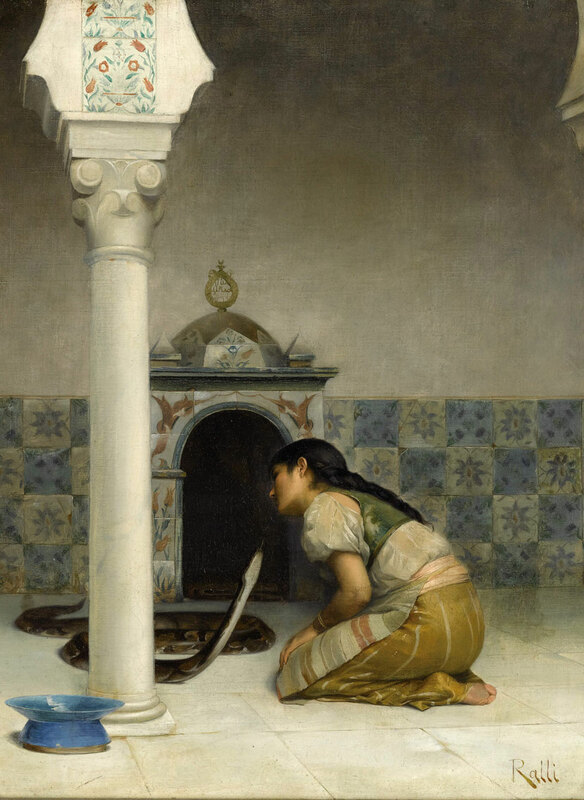 Theodore Ralli, The Sacred Serpent, oil on canvas. Private collection. Kindly granted by the Kalfayan Galleries, Athens - Thessaloniki. The exhibition reveals the work of the prominent Greek artist Theodore Ralli through selected paintings, documents, correspondence and photographs. His drawings for the illustration of books, works inspired by literature and poetry, excerpts from the diary he kept while visiting Mount Athos, as well as a selection of his articles published in the press, are also on show.